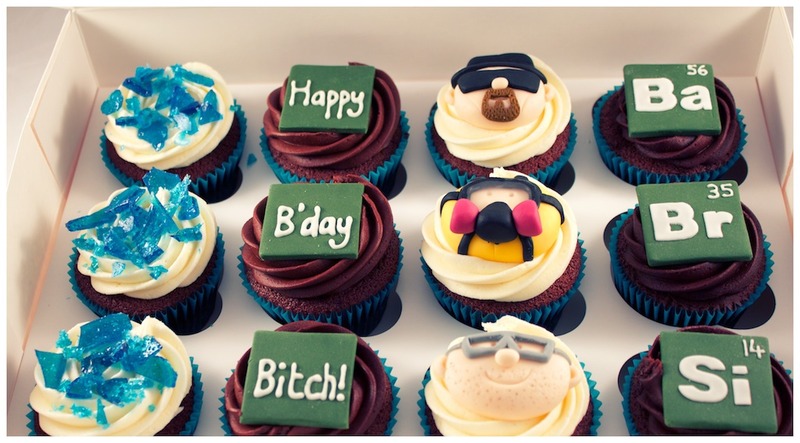 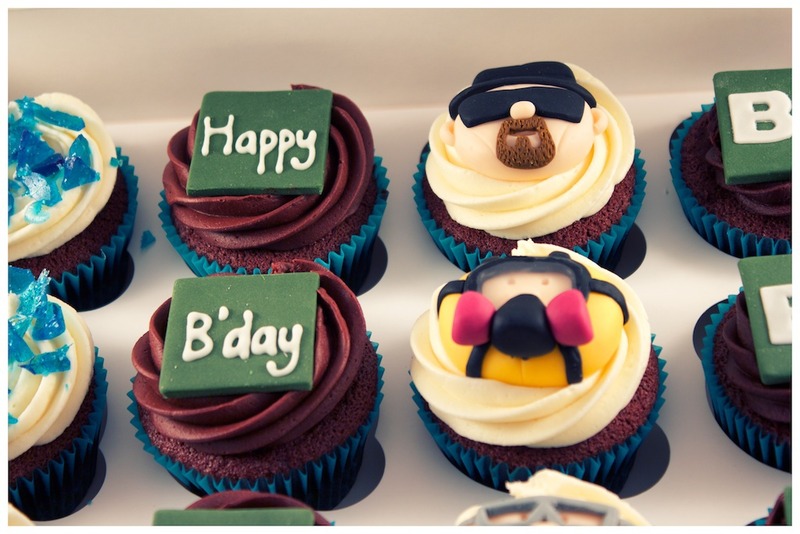 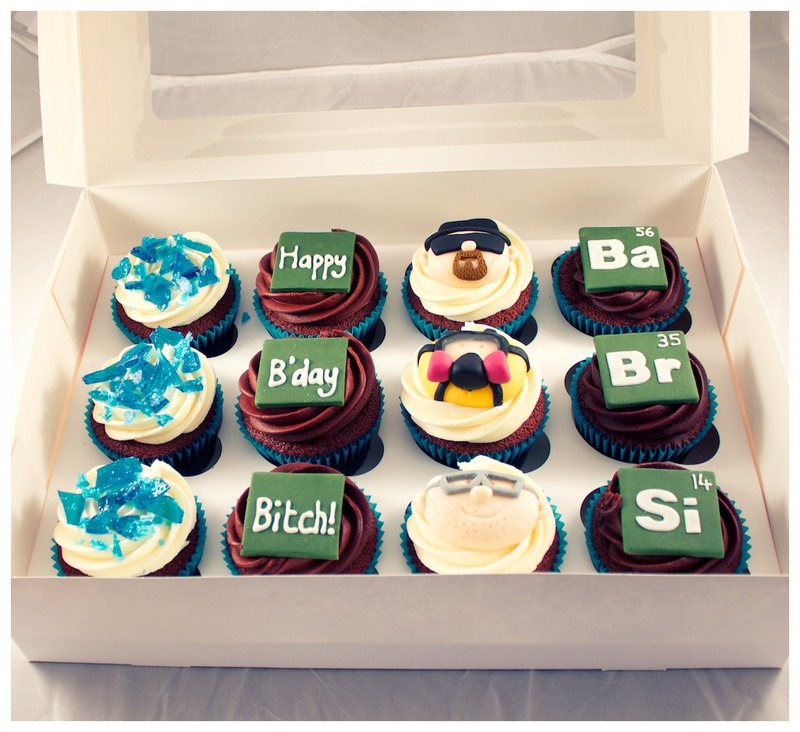 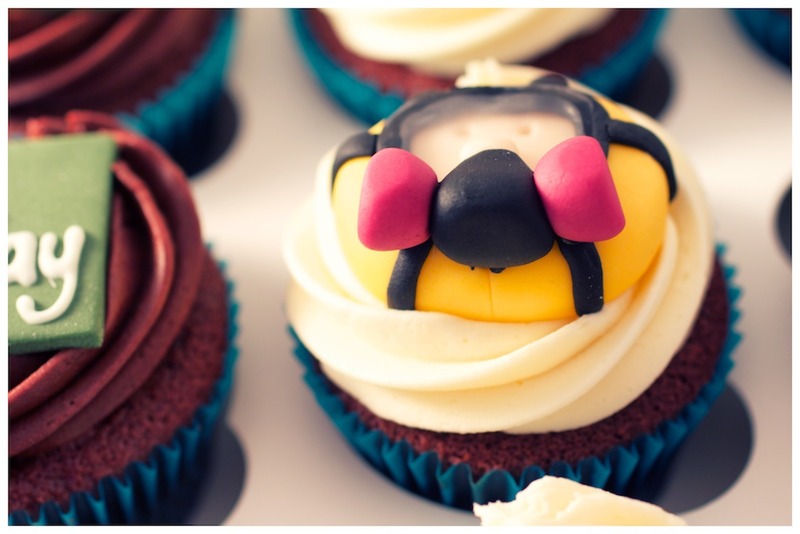 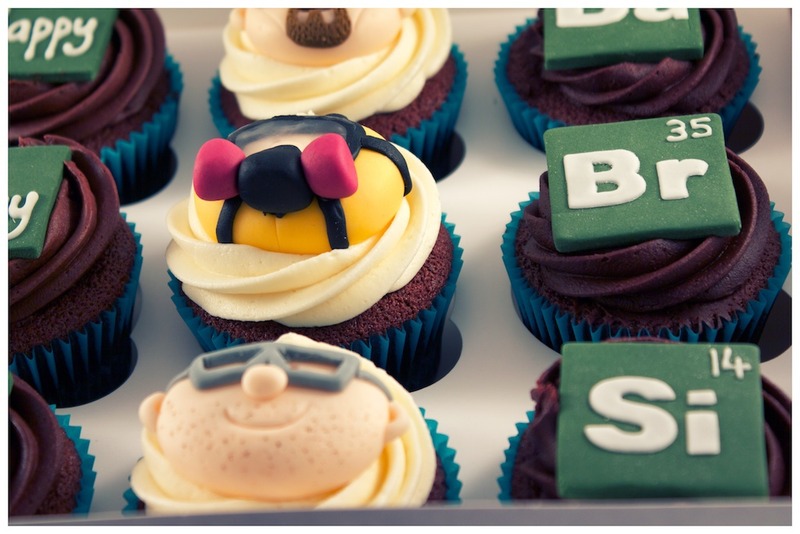 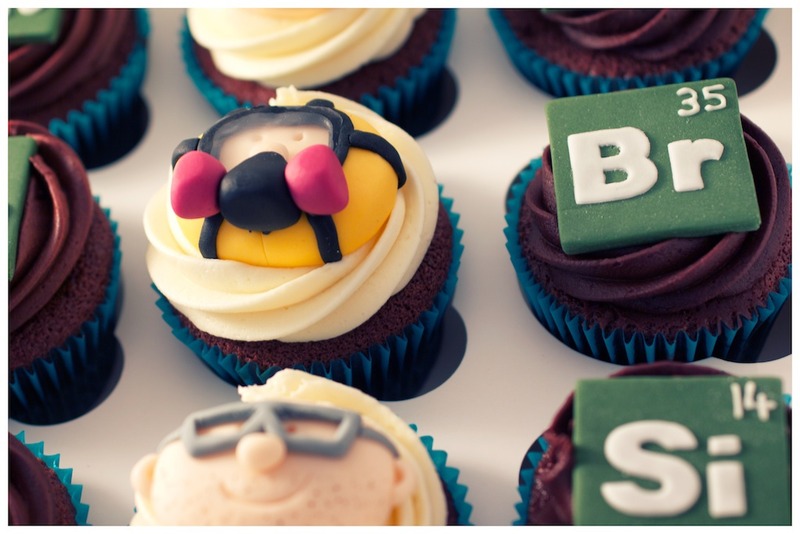 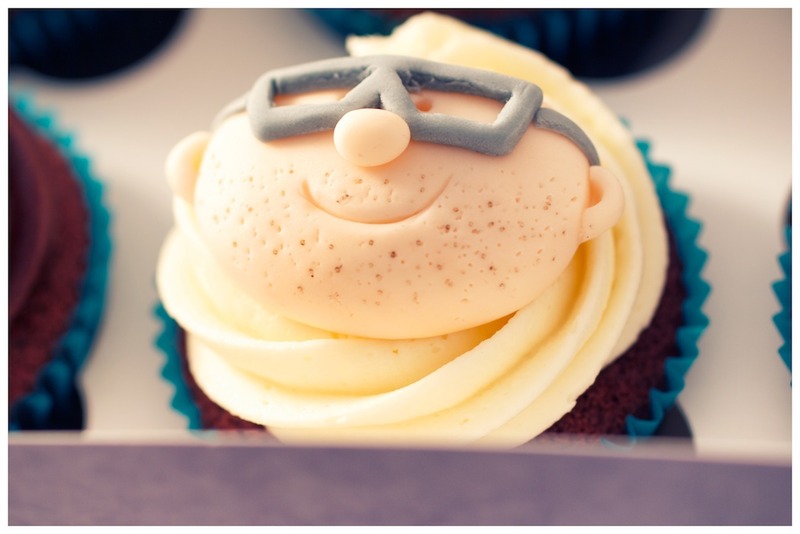 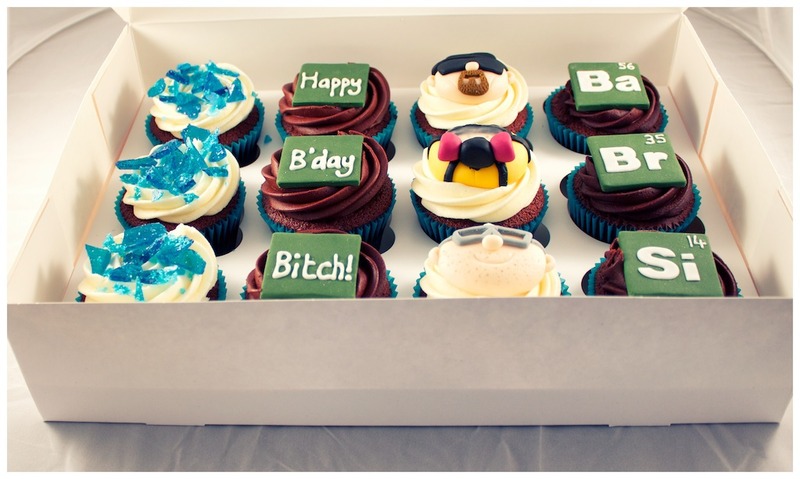 Set of 12 Breaking Bad themed birthday cupcakes. 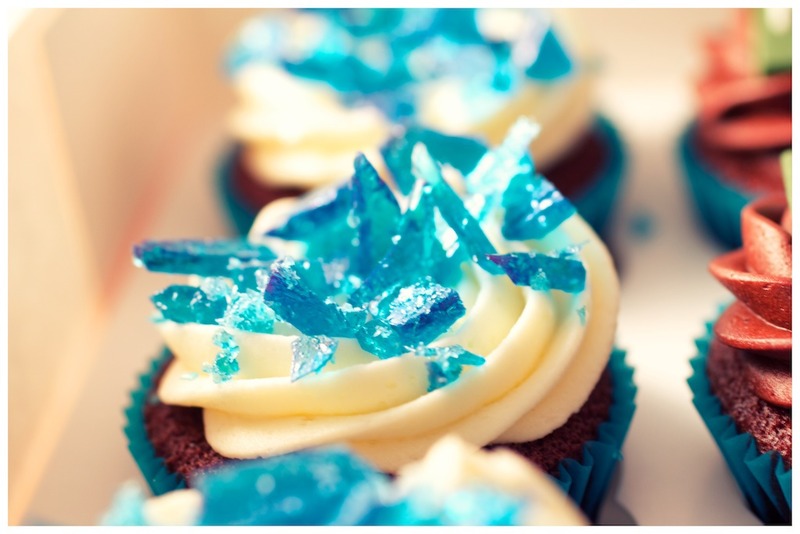 Chocolate cake with half chocolate, half vanilla frosting. 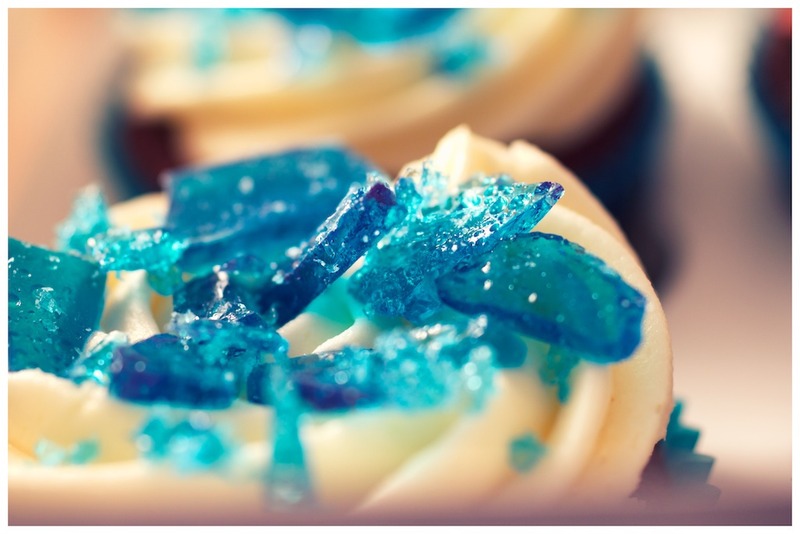 With "crystal meth" topped cupcakes, gum paste logo, and hand made Heisenberg, Jesse and Si (the birthday boy) gum paste toppers.